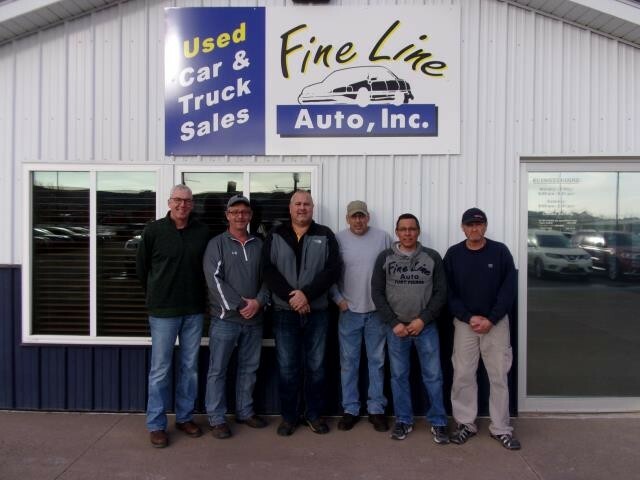 About Us | Fort Pierre, South Dakota 57532 | Fine Line Auto Inc. Here at Fine Line Auto we specialize in a low pressure car buying experience. Our knowledgeable sales staff has over 75 combined years of experience. All we ask for is an opportunity to earn your business. If we don't have what you are looking for we will find it for you. Give us that opportunity and you will see why thousands of customers keep coming back to Fine Line Auto. Fine Line Auto, selling cars that don't come back to customers that do!! We appreciate your business and look forward to assisting you with your transportation needs now and in the future.